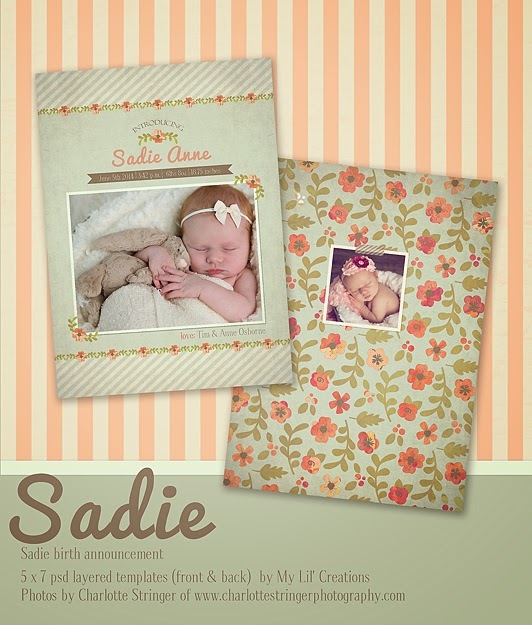 While on a recent shopping trip, I was inspired by some bedding, such beautiful floral pattern (not that mine is quite the same, kinda put my own spin on it), so I decided to create a few baby templates. This is Sadie. 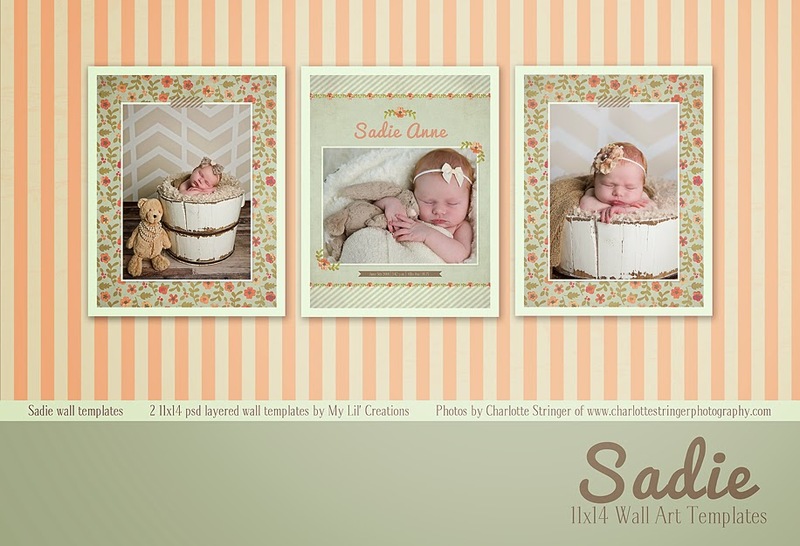 Available for purchase are the 5x7 birth announcement templates and 2 11x14 wall art templates. All templates are layered and created at 300ppi, in psd format.